The power of change in human life has long fascinated people. Babies are born, other people pass away, employees are made redundant, others get promoted. Businessmen, or whole states, go bankrupt, while others prosper. Even at war, a sudden change in weather can reverse the outcome of an initially easy to win, battle. The highly educated executives soon realized that staying informed about business, environmental, or other changes is of vital importance. That's why they keep asking for suitable dynamic IT tools, such as the business activity monitor (BAM), Business Intelligence (BI) and CEP. In order to briefly compare the characteristics of each technology, I shall quote a few lines of text of the new SOA Handbook authored by Lucas Jellema: "BAM may seem very similar to Business Intelligence (BI) as you know it, and of course there is a lot of similarity if not overlap. The key differentiator is the real-time aspect of BAM, along with the active alerting responsibility it has. The scope in time of BAM dashboards is usually fairly short—up to hours or days—and would hardly ever cross the quarter or year boundary, whereas traditional BI tends to take a look at data from a more historic, longer-term perspective in a more passive way." @rem Copyright 2006 BEA Systems, Inc.
"Is this the final solution? 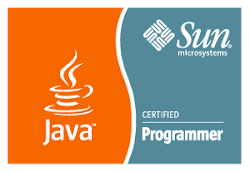 This is a general issue faced by all sun java based servers. When huge number if class are loaded as part of an application, this error is expected." In short, it seems that not all some things change, some are everlasting and prosperous, such as software defects, which persist against any change in time, wear, version or any attempt to fix! Are java bugs really immortal?